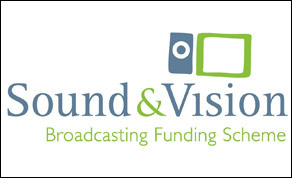 The Broadcasting Authority of Ireland (BAI) has announced details of the latest funding awards under The Sound & Vision 3 Broadcasting Funding Scheme. Following a comprehensive assessment process, funding amounting to €5.774m has been allocated to 120 projects. Of this, just over €5.149m has been allocated to 32 TV projects, while 88 radio projects will benefit to the value of €625,000. Some 220 applications for funding were received in this Round 29 of the scheme, seeking funding of €19.4m. 'Comeback': a documentary for TV3 on boxer, Katie Taylor, as she turns professional. 'Jump Girls': a bi-lingual documentary for TG4 on the lives of women making their living at the top of national hunt racing. 'Charred Remains': a documentary for Newstalk on the burning of the Public Records Office during the Civil War. 'Na Treibheanna: Music for Life': a bi-lingual series for RTÉ One which will explore the worlds of music subcultures in Ireland. 'The Future is You': a series for Oireachtas TV designed to inform 10- to 13-year-olds about the systems of government in Ireland. “The Sound and Vision Scheme is a key element in the delivery of the BAI’s Strategy, particularly under the themes of promoting diversity and plurality and enhancing innovation and sectoral sustainability. We are very pleased to continue supporting high-quality radio and television projects for the enjoyment of Irish audiences. ln addition, BAI support is now a key element in funding plans for higher value projects and, as such, it contributes to the sustainability of the independent production sector in TV and radio. The BAI will now commence contract negotiations with successful applicants. A full list of the projects being offered funding is available to download -here.